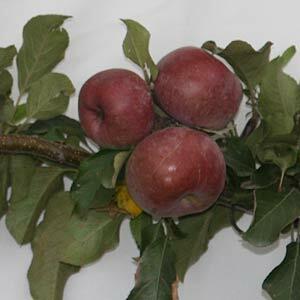 Popular with home gardeners, orchardists heritage apple tree are readily available for sale. They are also sought after by cider makers. With hundreds of varieties of Apple Trees for sale on the market it is easy to find a variety suited to your climate and fruiting requirements. Consider growing you own heritage organic apples from the 100s of varieties of trees available for sale. And remember that apples have different qualities and different sugar content, some are great for eating, some for cooking and some are grown specifically as cider apples. With more varieties of apple trees, including heritage varieties becoming available for sale as dwarf varieties as well as multi graft trees Apple trees are increasingly popular as a home fruit tree. Apple trees are an excellent tree to grow as espaliers if you are a little short on space. Remember that Apples from different varieties ripen at different times of the year, in Australia some as early as Christmas and others as late as June depending on location as well. Apple trees are also classed in terms of flavour, generally as Sharp, Sweet, Bittersharp or Bittersweet. Includes: Heritage Apple Trees, ‘Gala’, ‘Golden Delicious’, ‘Jonathan’, ‘Red Fuji’, Ballerina series, ‘Pink Lady’ and many others. Apple trees are grown on a variety of rootstocks or as the original variety, called a ‘seedling’. So MM111 is a drought resistant root stock slightly smaller than a normal (seedling) tree. Others rootstocks have different qualities, see the dwarf apple tree section for some explanation. Wholesale Nursery with links to retailers. Deciduous and evergreen trees and shrubs. Flowering, Fruiting and Ornamental. Bare root and containerised 20cm to advanced. Strictly wholesale but with with links to retailers.’Gala’, ‘Golden Delicious’, ‘Jonathan’, ‘Red Fuji’, Ballerina series, ‘Pink Lady’ and others.